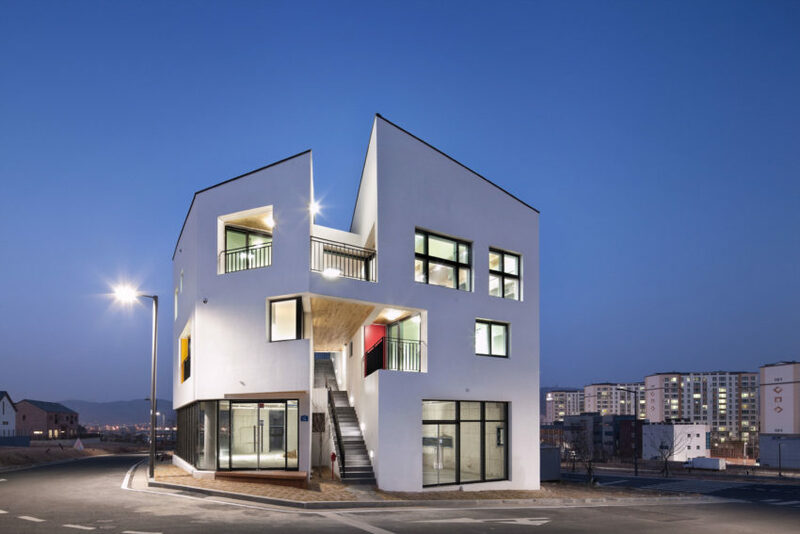 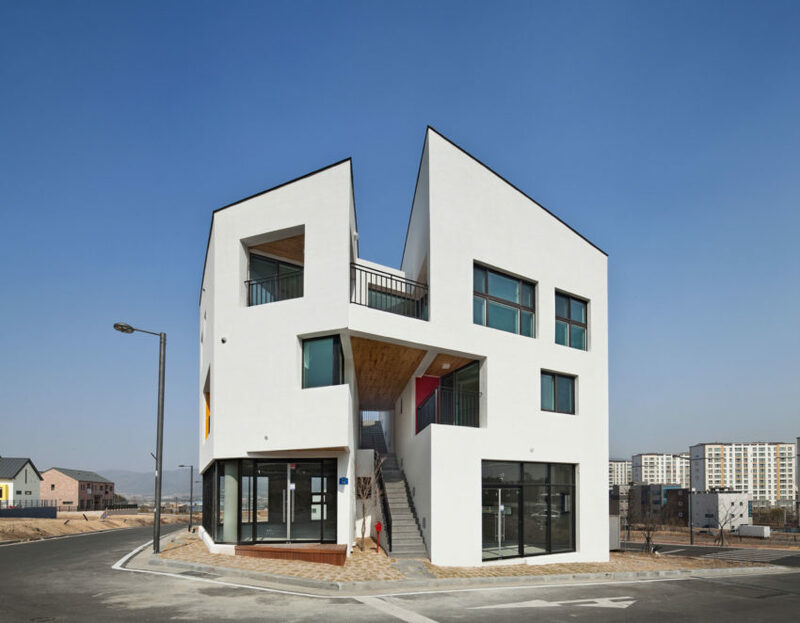 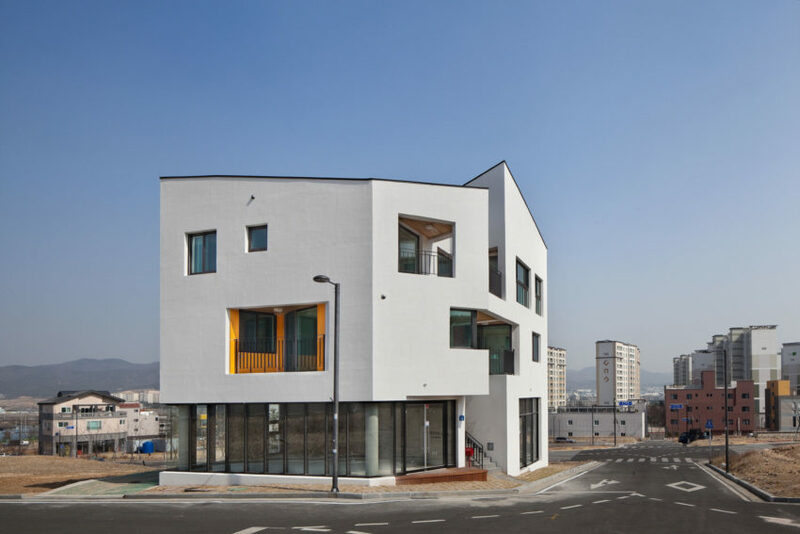 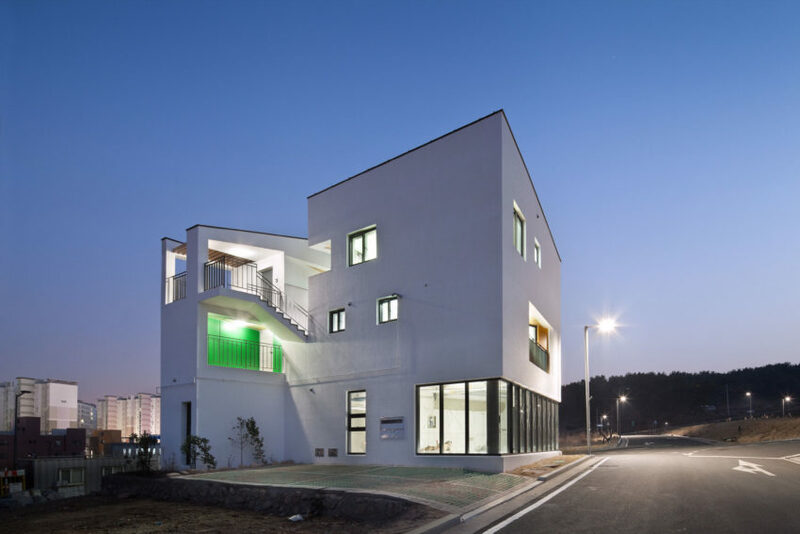 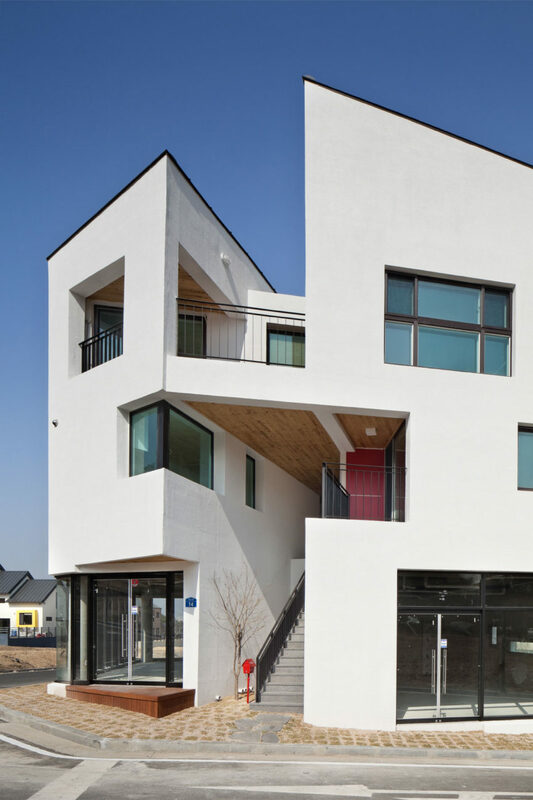 This small building, located in Ulsan, South Korea, was refurbished in 2015 by ON Architecture Inc. to convert it into several individual apartments. 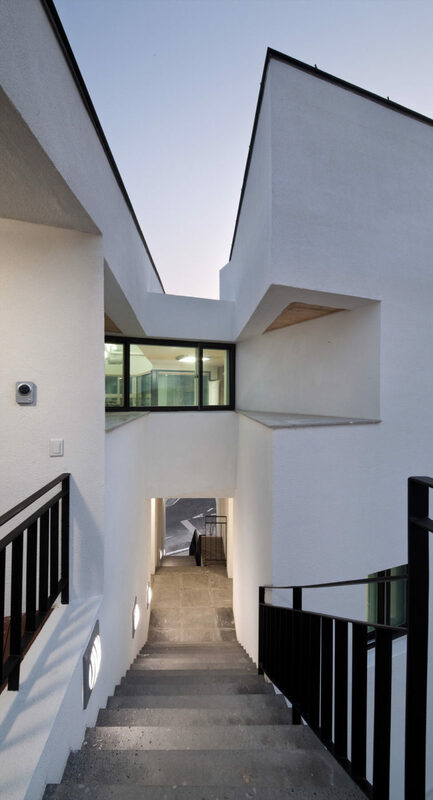 The structure is uncommon, and at its center are a set of stairs that practically divide it in two, while, at the same time, creating an open structure through which both air and light flow. 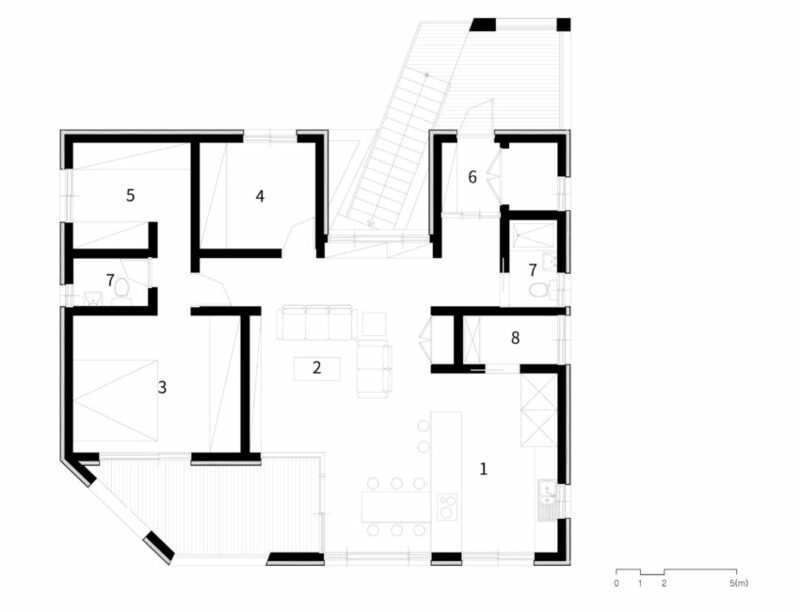 In the first level, we find two large spaces, each one with its own bathroom. 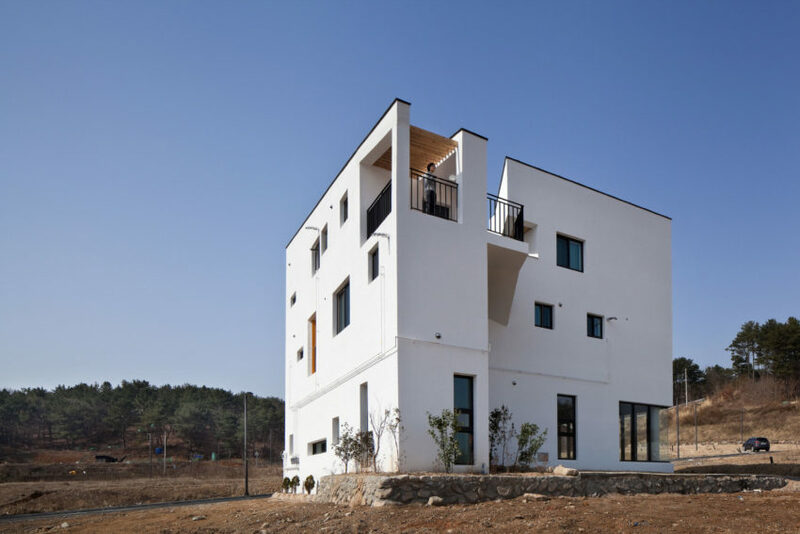 Going up, the long external stairs sit under a beautiful wooden roof, leading us to two fully independent apartments, each one having enough space for a small family. 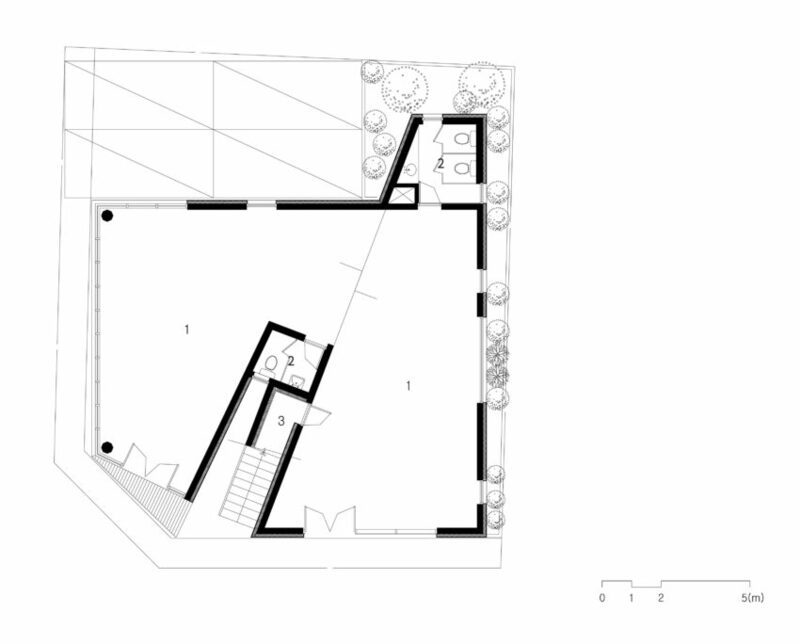 At the upper level we find a wider space. 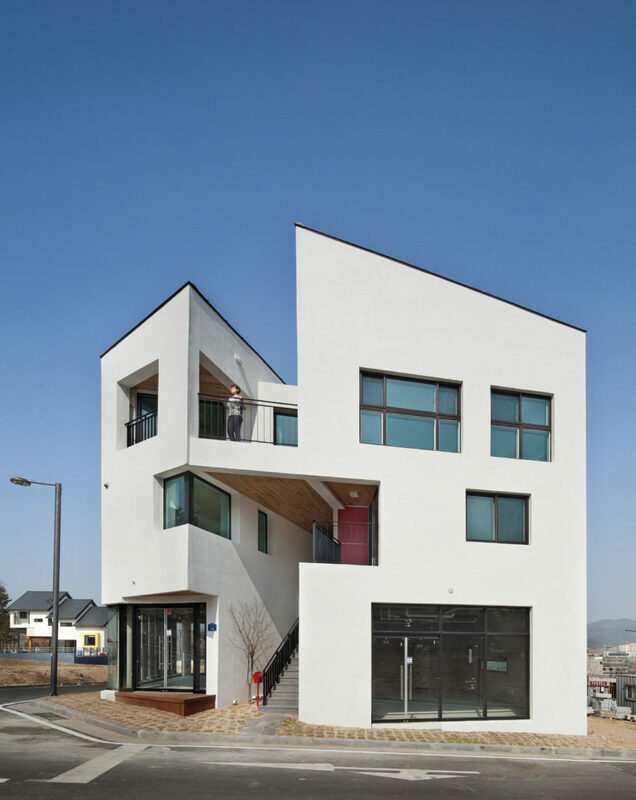 An apartment of greater dimensions that can accommodate a bigger family. 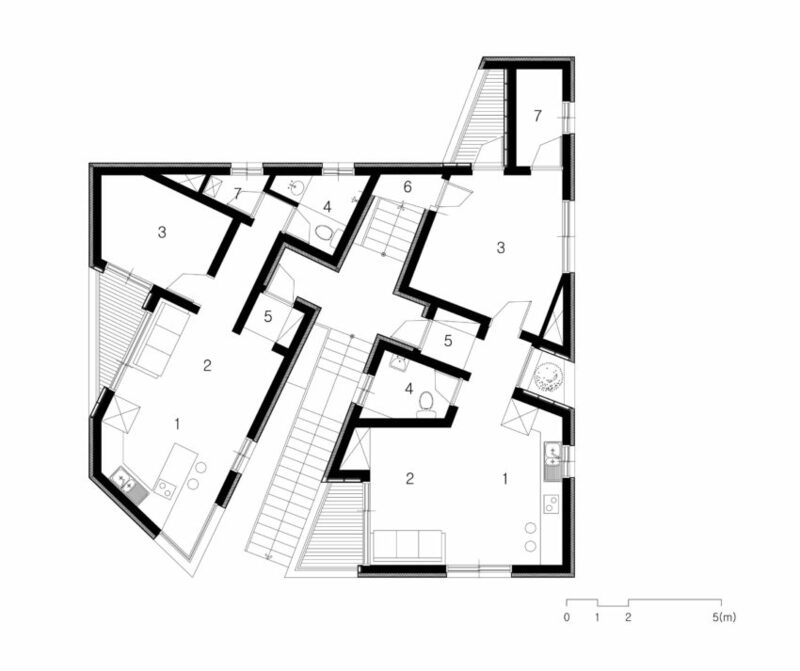 This one has several bedrooms with bathrooms at its disposal, as well as a large area where living-dining-kitchen share the same space. 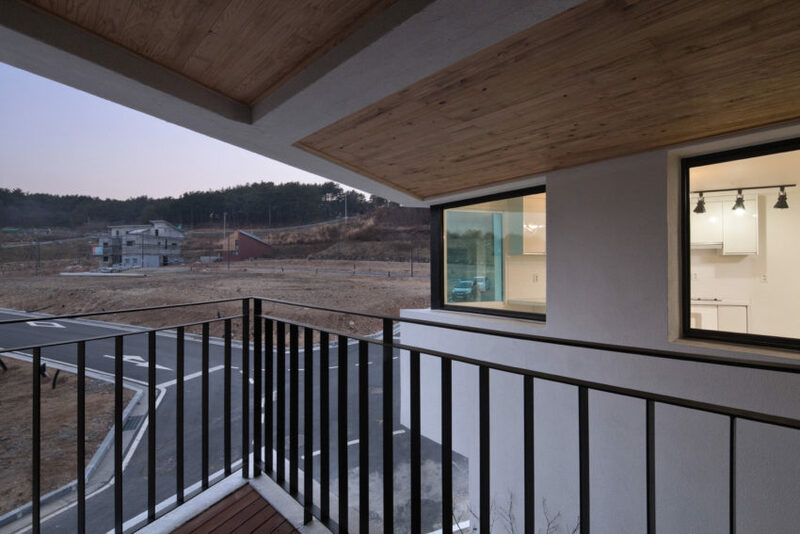 It also has two terraces with wooden floors, one of which can be accessed either from the living room or from the kitchen area, and is also shared by the master bedroom, from which we can access it directly. 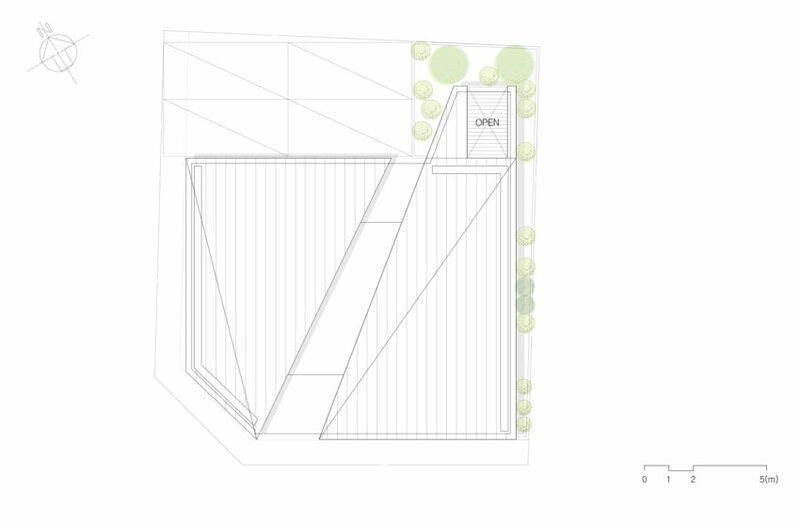 The other terrace is located at the main entrance, and from it we can see the adjacent spaces. 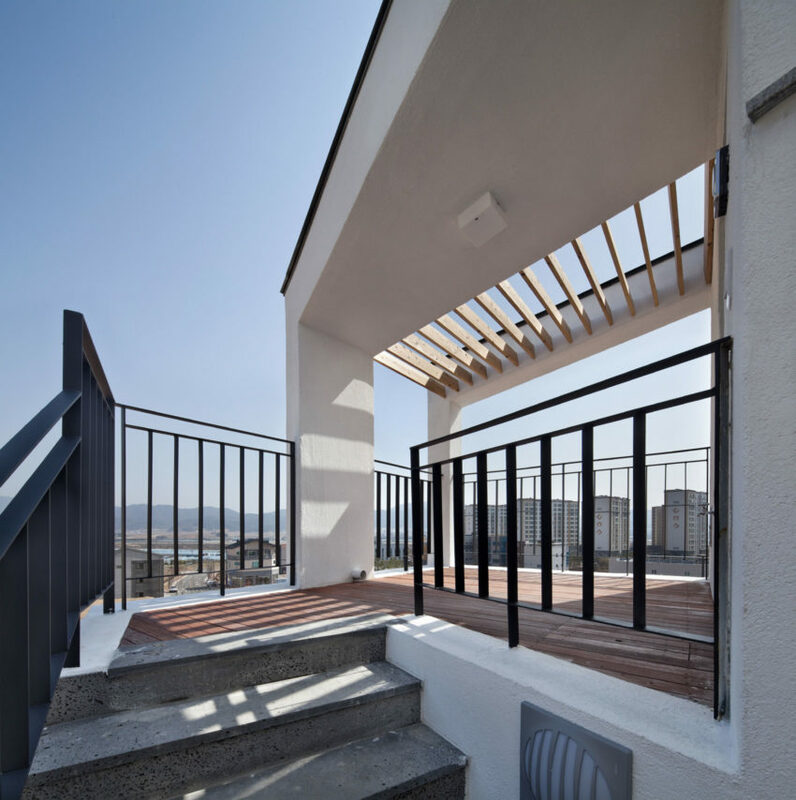 It also provides us with a setting where to spend time with family and friends.